Don Cossack will not be defending his Timico Cheltenham Gold Cup crown after connections called time on his distinguished career due to a recurrence of a tendon injury in his near foreleg. Trainer Gordon Elliott and owners Gigginstown House Stud had said all along that any recurrence of the tendon problem that kept Don Cossack out of the Punchestown festival last April would result in instant retirement, and their worst fears were realised on Tuesday when scans revealed a 15 per cent tear of the tendon. The six-time Grade 1-winning chaser, who justified 9-4 favouritism in the 2016 Cheltenham Gold Cup when beating of Djakadam by four and a half lengths, was due to make his eagerly awaited comeback in the Grade 2 Red Mills Chase at Gowran Park on February 18 and Elliott said his work has been as "good as ever" in recent weeks. "It is a real sickener – his work had been really, really good over the last few weeks," Elliott said. "Shane McCann, who rides him out at home, could not have been happier with him. His legs have been perfect and every time we had scanned him before this week the results had been perfect. We genuinely thought he was on the right road. "We were starting to turn the screw with him. His work was increasing all the time. He just came back with heat in his leg after his latest piece of work and we had to do the best thing by the horse. The temptation was obviously there to keep going as he is only ten, but he owes us nothing and deserves a happy retirement." 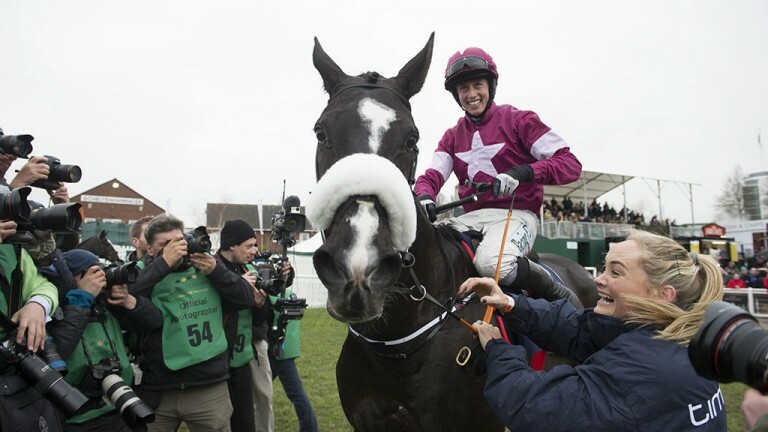 Don Cossack won 12 of the 19 chases he contested, including six of his last seven. His only mishap since finishing third in the 2015 Ryanair Chase was when he came down at the second-last in the King George won by Cue Card that year. His most jaw-dropping performance was undoubtedly in the 2015 Melling Chase at Aintree when he crushed Cue Card by an astonishing 26 lengths. He backed up that wide-margin win in the Punchestown Gold Cup later that April when beating Djakadam, Road To Riches and Cue Card under Paul Carberry. Eddie O'Leary, Gigginstown racing manager, admitted the scan results came as a shock as he had finally begun to believe Don Cossack was coming back to his best. "We had been so pessimistic all along but, in the last week or two for the very first time I was actually optimistic that he was back to himself," O'Leary said. "I saw him last week and he had legs like steel. He had done so well. "He was an incredible horse. It's funny, we genuinely went to Cheltenham last March thinking he was an absolutely certainty in the Gold Cup once he stood up. We knew he was the best horse in the race. That is why we ran Road To Riches and Valseur Lido in the Ryanair. It was a brilliant day and one we will never forget." Eddie's brother Michael agreed the best thing for Don Cossack was to hand him a well-earned retirement at Gigginstown. "I would like to sincerely thank Gordon, Karen, Louise and all the team at Cullentra House for the outstanding job they did in managing Don Cossack’s career, to ultimately win the 2016 Cheltenham Gold Cup. Gordon left no stone unturned to help Don Cossack return to defend his title but alas it is not to be. "We are all agreed that, at the age of ten, the best thing for the Don is a well-earned and very well-pampered retirement at Gigginstown." Elliott added: "He is definitely the best I have ever trained. He has won a Cheltenham Gold Cup, that says it all. I was very lucky to have trained him and have to thank Michael, Anita [O'Leary], Eddie and everyone in the yard for everything over the last few years. It has been the most amazing journey with the Don." Don Cossack's absence from the 2017 Cheltenham Gold Cup has left Gigginstown with three contenders – Don Poli, Outlander and Valseur Lido.